As a special treat on Bank Holiday Monday 26th May, BCA will be offering a Porsche Carrera GT at its Blackbushe auction centre. This 2005 left-hand drive Porsche Carrera GT 5.7 V10 is finished in Basalt Black has covered less than 7,000 miles from new. Only 1,270 Carrera GTs were built between 2004 and 2007 and it has been described as the finest sports car the company has ever made thanks to its stunning performance, fantastic looks and a well-appointed and comfortable cabin. The original on the road cost of the Carrera GT was around $440,000 (£330,000 in the UK). 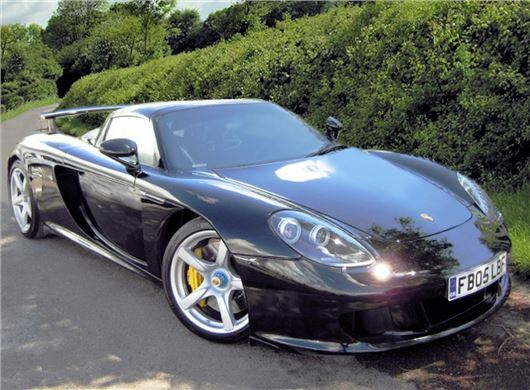 Examples rarely come up for auction - BCA last sold a Carrera GT in 2012.